Edward Snowden claimed the US government could have allowed him to travel to another country but instead “trapped” him in Russia in an attempt to raise suspicion that he was a spy. “The government could have let me go to Ecuador or Bolivia,” he said, but chose instead to “keep” him in Russia, Snowden told Twitter CEO Jack Dorsey. 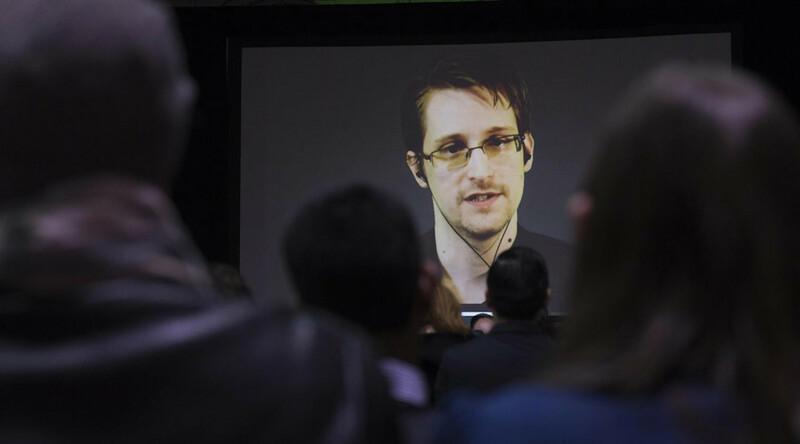 Snowden was in Russia and due to leave the country when his passport was revoked. He has remained in the country since 2013. The whistleblower claimed he had in no way been working alongside the Russian government and has instead been critical of them. He claimed he would take it as a compliment if he was expelled from the country for his criticism. During the interview, Snowden answered questions submitted on Twitter using the #AskSnowden hashtag. Asked about his Twitter use he said he set up his account as a response to “fake reports” in the media. Instead of sending a statement to news organizations correcting a story, he said he can now tell his own story using the site. Snowden said he does use Twitter for news and to explore what people are saying but does not use it under his named account, as then the US government would have access to his data. He described Twitter’s restricted character count as “terrible” but praised the sites interface when asked about it by Dorsey, a supporter of a campaign to grant Snowden a presidential pardon. He claimed was “not worried” about whether President-elect Donald Trump would allow him to return to the US during his presidency, saying that whatever he decides to do he is content with the choices he made. “If I was only looking out for myself, I never would have come forward,” Snowden said, saying he does not regret his actions. He said he could have earned a lot of money for an easy job, “spying on you,” but instead chose to reveal the extent of the government’s surveillance, which he described as unconstitutional. The information metadata presents is “far more granular, far more detailed, far more complete” than any intelligence team could have created, and it all “happens automatically,” he said. Snowden said that while surveillance is a global problem, the relationship between the government and the public is the bigger issue. Governments are becoming increasingly secretive, hiding behind classification and state secrets. “They don’t even release their tax returns,” he said. A borderless internet with global standards can create a “fabric of freedom” that can be achieved with “the flip of a switch, if we create one technological leap,” he said.